A dead girl with an arrow sticking out of her back sends Matt Murdock and Helene Steinbeck on a killer-hunt that takes them to Angel Mountain where a cold-blooded steely-eyed killer has hypnotized some rich people into funding a naughty habit involving pretty girls, young women in great shape from the worlds of Art and Professional Sport. The odds are fifty to one that they won't get out of this mess alive. This is not the first book focusing on Private eye Matt Murdock,it is however the first I have read .The story is intense right from the start a murder of one girl and then Helene stumbling into her while someone is trying to kill her. I was immediately engrossed in the story line and the pace of the book I was constantly trying to guess what would happen next and the who done it.I Highly recommend reading and look forward to reading more on Matt Murdock. 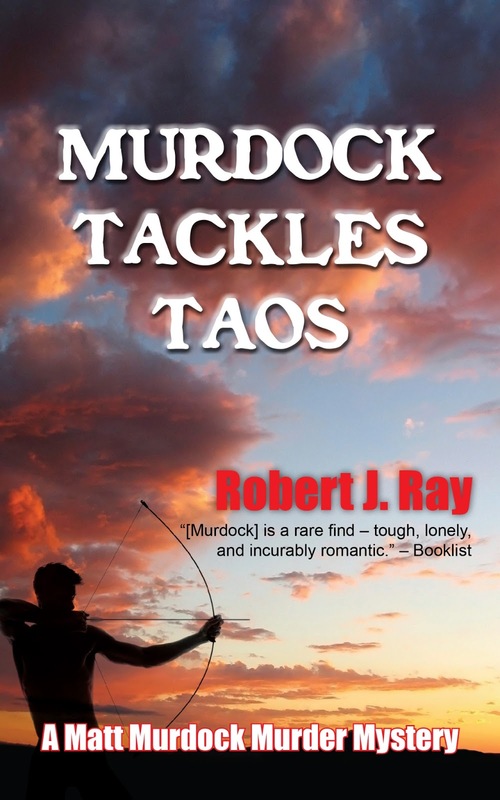 Robert J. Ray is a writer/ teacher with six Matt Murdock Mysteries, three volumes of The Weekend Novelist writing series, a tennis story, a thriller about diamonds, a small business textbook that has gone through five editions, and short pieces for magazines. He spent a dozen years teaching college students how to write better. He spent five years teaching tennis, using techniques like Inner Game. I have read all the Murdocks. These are good mystery novels, written well. Mr. Ray knows his stuff. Thank you for sharing your insight on this book. Very nice!! Murdock does it again under the masterful pen of Robert Ray. This is a quick read, very enjoyable experience. Ray knows how to spin tale! Target Crazy Shopping Trip Saved $52.00 Broke the register! Purex Crystals Fabric softener & Jockey Tech Terry Sports Bra Review,Coupon and Giveaway! EAS Unstoppable weekend Sweepstakes & Free EAS Product Coupon up to $3.89!! Last Day to Enter Pure Romance Review and A Spicy Pure Romance $50.00 in Products Giveaway!!! I am a Energetic Working Mother Of 4 Beautiful Kids Ages 19,18,9 AND 4.